We may gather your IP address, location, browser type, referring page, unique device identifier, device type, operating system, image deletes, images shares, acceptance of terms, date and time, and any additional information you provide us with. E-mail addresses will not be sold, rented or leased to 3rd parties without your permission. If you request a referral for another vendor, we will provide that vendor with your name, event date and, if you select, your email address. If you create a quote or sign up for one of our services (like the newsletter) we'll email you. You can easily unsubscribe from our services by following the instructions included in all correspondences. Feel violated? Contact our Minneapolis office and we'll do our best to make you feel better. 1. You may use photos for personal, noncommercial use only. You may not publish or distribute any photo outside of distribution to family and friends for noncommercial purposes, and you may not use any photo to advertise or market any product or service. 2. You may not reproduce, store, distribute, display or otherwise use any photo in any manner which harms or which may harm any person depicted in the photo or which violates or may violate any right of privacy or publicity or any other right of any person depicted in the photo. 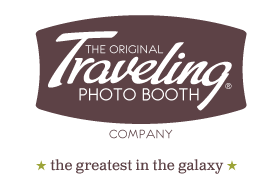 The trademarks, names, logos and service marks (collectively "trademarks") displayed on this website are registered and unregistered trademarks of The Traveling Photo Booth. Nothing contained on this website should be construed as granting any licence or right to use any trademark without the prior permission from The Traveling Photo Booth. All aspects of this web site – design, text, graphics, applications, underlying source code and all other aspects – are copyrighted by The Traveling Photo Booth or third parties who have licensed their content for use on this website. In accessing these web pages, you agree that any downloading of content is for personal, non-commercial reference only. No part of this web site may be reproduced or transmitted in any form or by any means, electronic, mechanical, photocopying, recording or otherwise, without prior permission from The Traveling Photo Booth. While every effort is made to update the information contained on this website, neither The Traveling Photo Booth nor any third party or data or content provider make any representations or warranties, whether express, implied in law or residual, as to the sequence, accuracy, completeness or reliability of information, opinions, any share price information, research information, data and/or content contained on the website (including but not limited to any information which may be provided by any third party or data or content providers) ("information") and shall not be bound in any manner by any information contained on the website. The Traveling Photo Booth reserves the right at any time to change or discontinue without notice, any aspect or feature of this website. No information shall be construed as advice and information is offered for information purposes only and is not intended for trading purposes. You and your company rely on the information contained on this website at your own risk. If you find an error or omission at this site, please let us know. External links may be provided for your convenience, but they are beyond the control of The Traveling Photo Booth and no representation is made as to their content. Use or reliance on any external links and the content thereon provided is at your own risk. When visiting external links you must refer to that external websites terms and conditions of use. No hypertext links shall be created from any website controlled by you or otherwise to this website without the express prior written permission of The Traveling Photo Booth. Please contact us if you would like to link to this website or would like to request a link to your website. The Traveling Photo Booth makes no warranties, representations, statements or guarantees (whether express, implied in law or residual) regarding the website, the information contained on the website, your or your company's personal information or material and information transmitted over our system. The Traveling Photo Booth shall not be responsible for and disclaims all liability for any loss, liability, damage (whether direct, indirect or consequential), personal injury or expense of any nature whatsoever which may be suffered by you or any third party (including your company), as a result of or which may be attributable, directly or indirectly, to your access and use of the website, any information contained on the website, your or your company's personal information or material and information transmitted over our system. In particular, neither The Traveling Photo Booth nor any third party or data or content provider shall be liable in any way to you or to any other person, firm or corporation whatsoever for any loss, liability, damage (whether direct or consequential), personal injury or expense of any nature whatsoever arising from any delays, inaccuracies, errors in, or omission of any share price information or the transmission thereof, or for any actions taken in reliance thereon or occasioned thereby or by reason of non-performance or interruption, or termination thereof. These website terms and conditions constitute the sole record of the agreement between you and The Traveling Photo Booth in relation to your use of the website. Neither you nor The Traveling Photo Booth shall be bound by any express tacit or implied representation, warranty, promise or the like not recorded herein. Unless otherwise specifically stated these website terms and conditions supersede and replace all prior commitments, undertakings or representations, whether written or oral, between you and The Traveling Photo Booth in respect of your use of the website.